I grew up here in Jewel Bay and like a lot of kids, couldn’t wait to leave. But after fourteen years, it was time. “Past time,” my mother Fresca says. “About time,” my sister Chiara says. My brother Nick just raises his eyebrows. Mr. Sandburg and I are settling in to our little cabin above the lake. He’s making the acquaintance of all the neighborhood mice. I can just hear him: “Pleased to meet you. I’m Mr. Sandburg, but you can call me Sandy.” “Eek!!! A cat!! !” they all reply, and run screaming away to places he can’t follow. I’m spending most of my time at the Merc, of course. I thought Claudette would be here to help me learn the ropes, but the week before I got back, she ran off to Las Vegas with Dean Vincent, the chiropractor and wanna-be Elvis impersonator. Or rather, tribute artist. He’s not half-bad, but he’s not exactly half-good, either. So here I am, with Tracy, who’s sweet and unhappy – she wanted to be the manager, but Fresca brought me in instead. I’m trying hard to get in good with her, but it’s not always easy. Plus the woman drinks Diet Coke in the morning – the thought makes my brain hurt. But we need her. She’s got experience, and a real talent for display. Which I most definitely do not. And Fresca. Well, the whole point is for her to be less involved with the store, so she can spend her time cooking up her pastas and sauces, our biggest sellers. They need to be even bigger sellers, if we’re going to survive. Honestly, the place is in bigger trouble than I realized. The first thing we need is a new mission. Maybe we need a new festival, to kick off summer. Hmm. How does the Festa di Pasta di Jewel Bay sound? We can start Friday night, in the courtyard, with an Italian dinner. I’ll get all the local restaurants to make a dish or two – salads and appetizers, pasta primavera, lasagna, fun cookies from the bakery next door, and of course, Pinot Grigio and Chianti. Then, over the weekend, every restaurant and food shop can offer a special Italian dish or two. We’ll decorate the village – our name for downtown, the original settlement – and all the merchants can celebrate with their own summery twist. Then on Sunday, we’ll have live jazz – Jewel Bay is a hotbed for it – and arts and food in the streets. Gelato, biscotti, and All-American treats, too. If it’s making you hungry, then it’s working. See you there! What summer festivals or fairs are you looking forward to? Yankton SD has an annual event called Riverboat Days. It is a combination of food, fun and activities over a 3 day period. There's a parade, fireworks, huge arts/crafts fair, various free events and entertainment, a rodeo, car show and other things too numerous to mention. I am not really interested in fairs or festivals since I dislike crowds, but Minneapolis has a great summer festival called the Aquatennial. Sounds good to me! I can't tolerate the heat well, so don't go to many of these events-they need to be in the fall! I always make time for America's Grape Country Wine Festival and if I can the Corn Hill Arts Festival. We have been to the "Taste of the Garden Door" in Door County a couple of times. They have a Pesto Festo in the afternoon, where you can sample all the pestos people make and submit. Last time we went there were 21 or 22 different recipes! It was great! There are samples throughout the day of different cookies and things people make with herbs. And they grow a lot of fruits and vegetables and have samples of those. It is a very fun day! Oh, your comments are making me swoon with hunger -- and envy! (Happily, Wendy's bakery next door, Le Panier, is perfectly delicious in every season.) Dianne, Riverboat Days sounds great -- love the nod to history! When my author was young, her family went to Steamboat Days in Burlington, Iowa a few times and she loved the riverboat trips. LLK, my author also attended the Aquatennial once -- she was very small and it was very big! Katreader, yes, heat can be a problem, though happily not so much up here in NW Montana. A wine festival sounds divine! Willow, I think I know just what you mean! And Elaine, a Pesto Festo -- well, that's almost like a Festa di Pasta, isn't it? 22 kinds of pesto? Heaven! My author once had a slice of chocolate torte with basil creme anglaise that she still raves about. Whether you get out and about this summer, or curl up by the a/c with a good book, enjoy! Apples, peaches, and books -- what a great combo! So sad to hear that the book festival ended -- we should have one in Jewel Bay -- thanks for the idea. 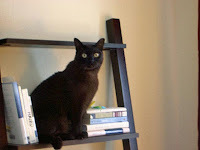 Lots of cookbooks, food memoirs, and foodie fiction! I'm looking forward to the local foodies festival coming up. A book festival would be amazing. Here in Pensacola, FL it is too hot for festivals in the summer but we do have many around in the fall. 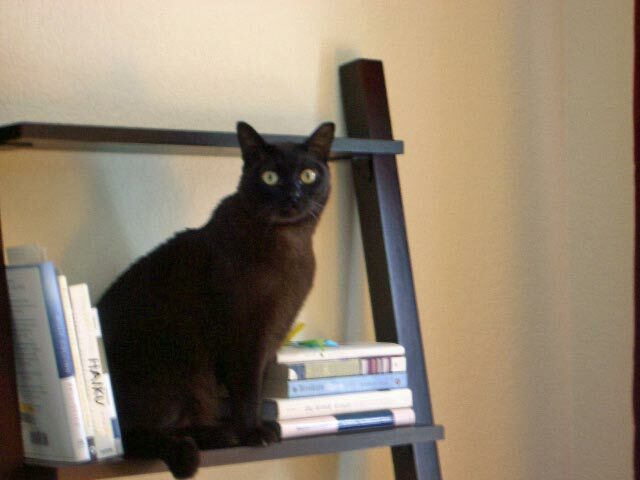 Mary, I agree -- local food AND books are the perfect combo! And LAG, up here in the NW, we tend to forget that elsewhere, summer is not so pleasant. We do have a few winter festivals ourselves, but I'm guessing you wouldn't have the snowboots and the rest of the winter wardrobe they require! Much like Florida, it's too hot (and humid) here on the Texas Gulf Coast to do festivals; but they do have them, I just don't attend until in the fall when it's a bit less hot. Notice I didn't say cooler. 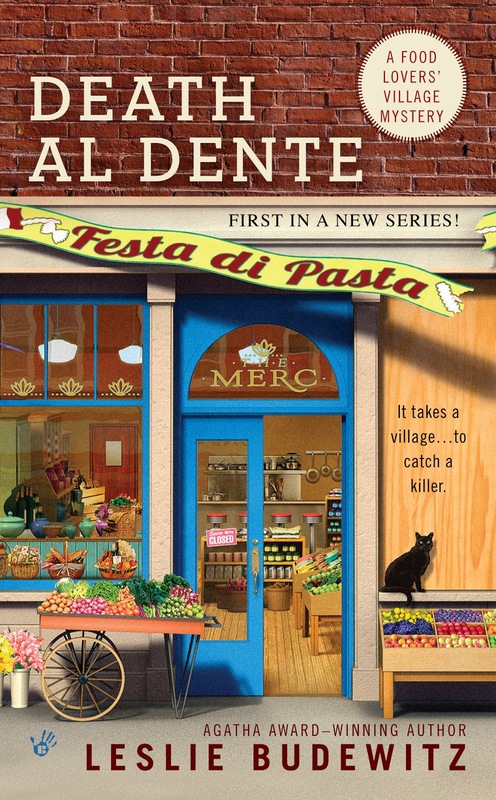 Death al Dente, first in the Food Lovers' Village Mysteries sounds so delicious! Ah, humidity. My sympathies. It's relatively low up here -- which creates its own dangers. I bet a serious foodie could do some serious damage in Texas come fall! Thanks for dropping by!